Mew is the rarest Pokemon from Generation I, and I believe still one of the "most uncatchable" Pokes in history. It had that sense of mystery about it, that intrigue of sneakiness. In fact, it only recently was discovered that you could get Mew through a weird glitch in Pokemon Red and Blue. I honestly don't understand how people discover things like this. It takes five complicated steps to even have a Mew appear. Insanity. Prior to this glitch, the only way to get Mew was by cheating via Gameshark or something similar, or by hoping a Nintendo Tour stopped in your city and you were able to attend. And even then, I think that not everyone received a Mew. So basically, Mew is one big tease. Of course, as a battler, Mew is insane. It has 100 base power for each stat (which is very good) and can learn every single move in the game. That's pretty fantastic. But I can't get over the fact that Mew was so difficult to obtain, and also that it looks like an embryo. It's a little creepy, even if it's supposed to be cute. Its unfairness in battle, as well as its near impossibility to get prior to this glitch bumps it down a little bit on the list. It's the only one of the original 151 Pokemon not to be named in the Pokerap. 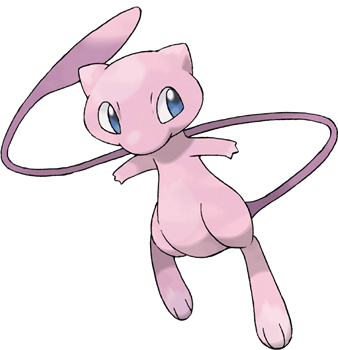 The games suggest that Mew was found in the forests of Guyana. Which, as you may know, is a real place. Even Nintendo didn't know Shigeki Morimoto programmed Mew into the game. SO SNEAKY. You're right. None of those facts were really fun at all.